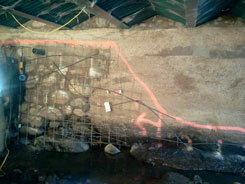 When bridges like this one here in Colorado are in need of concrete repair, Alpine has the solution. First we clean and prep the area with rebar and wire mesh. Secondly we use our specialized concrete pump and air compressor designed to spray the shotcrete cement mixture to the wall. 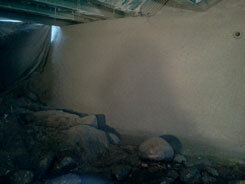 The shotcrete mix design we use is an ACI Colorado Approved cement mixture, placed on the wall at 4500 psi. 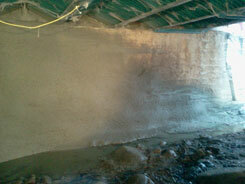 We apply the shotcrete mix design to the wall slowly and evenly to insure proper coverage. 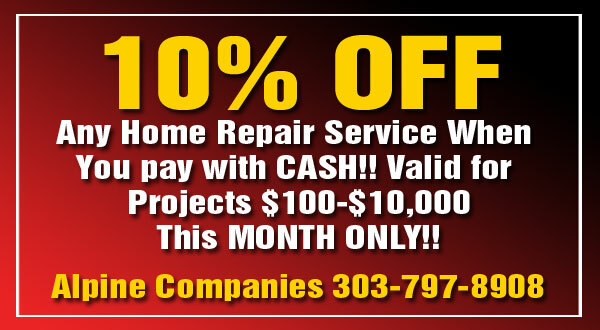 This bridge repair project only took about 7 hours start to finish, with a price tag of around $5k. Utilizing shotcrete and gunite processes for your Denver concrete projects can help with soil stabilization, retaining walls, swimming pool installation and repair, structural foundation repair, crawl space shoring and crawl space conversions to basements, slope improvements, bridge repair and so much more. 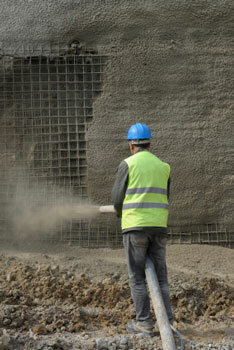 Shotcrete is also used to in the process of installing soil nails and micropiles. The concrete shotcrete process is fast, clean and much more affordable than most other alternatives. The cement shotcrete process can be installed or applied all year long, without having to worry about the weather. The concrete used for the shotcrete process can also be colored for a perfect aesthetic match as well. 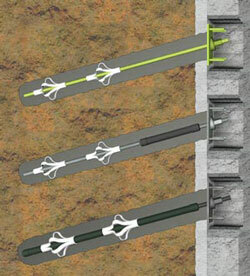 Micro piles are drilled and grouted replacement piles. They are a small diameter ( Less Than 300 mm ) replacement, drilled pile composed of placed or injected grout, around a steel reinforced center bar that is more than capable of accommodating every design load engineered specification. Alpine Companies uses micropiles on all residential and commercial structural repairs, foundation repairs as well as new installations of foundations and structures. 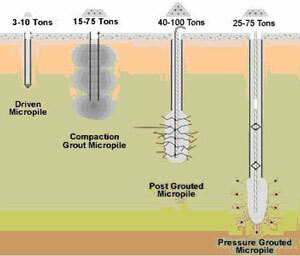 Micropiles are capable of withstanding significant axial loads as well as moderate lateral loads. Micropiles are the perfect choice for almost all new installations and structural, foundation repairs, because they also cause minimal to no disturbance to the adjacent soils and structures. Alpine Companies uses the installation of soil nails to improve and treat unstable natural or man-made soil slopes as well as to allow safe over-steepening of existing or newly constructed unstable soil slopes. soil_nail_diagramFirst, Alpine Companies pre-drills access holes for the soil nails to be installed, with a slight downward incline. Then Alpine inserts the soil nail, (a reinforced steel rod or rebar) into the pre-drilled hole. Then the drilled hole is grouted with our specialized grout pumping process. Once the soil nails are installed and grouted in place, we can then shotcrete over the top of the soil as well as the installed soil nails. This shotcrete process will permanently lock the soil and soil nails into one another, to allow for safe access and construction. Alpine Companies also installs soil nails for, retaining walls and retaining wall repair, sinking foundation tie back systems, similar to helical piers and tie backs, and bowing foundation walls. CONTACT us today for all your foundation shotcrete needs! Alpine Companies guarantees the highest quality shotcrete at the best possible price!